In today’s consumerist age, tools are just another commodity, to be admired or despised, and treated as objects of potential acquisition. When we see a great tool and like it, we buy it if we can afford it. Not so with the Japanese. Before buying a great tool, the Japanese craftsman must ask himself whether he is equal to the tool, whether he has reached the level where he can utilise the tool to its maximum potential. If the answer is no, then he is not supposed to buy the tool no matter how lovely it is and no matter how much money he might have. 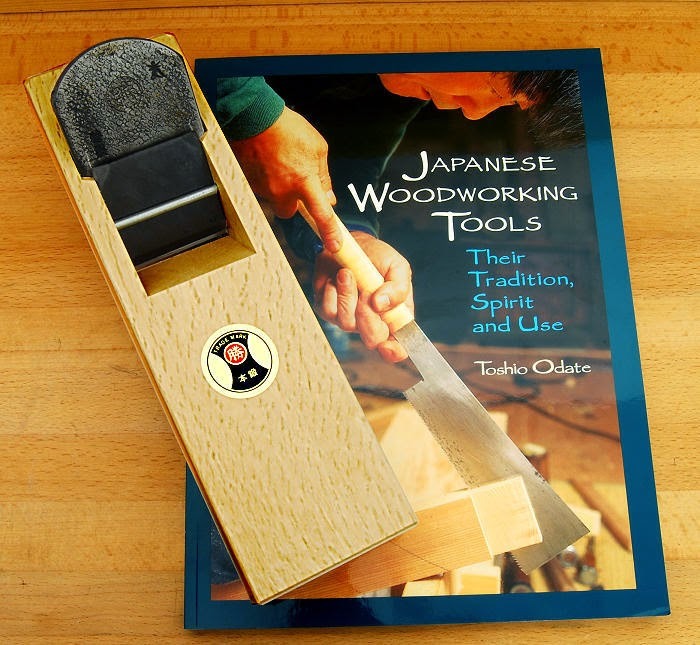 I was amazed to learn of the reverential Japanese attitudes towards tools and toolmakers in Toshio Odate’s famous book titled “Japanese Woodworking Tools: Their Tradition, Spirit and Use” (Taunton Press 1984). Tashio Odate was born in Japan in 1930 but moved to the United States when he was 28. 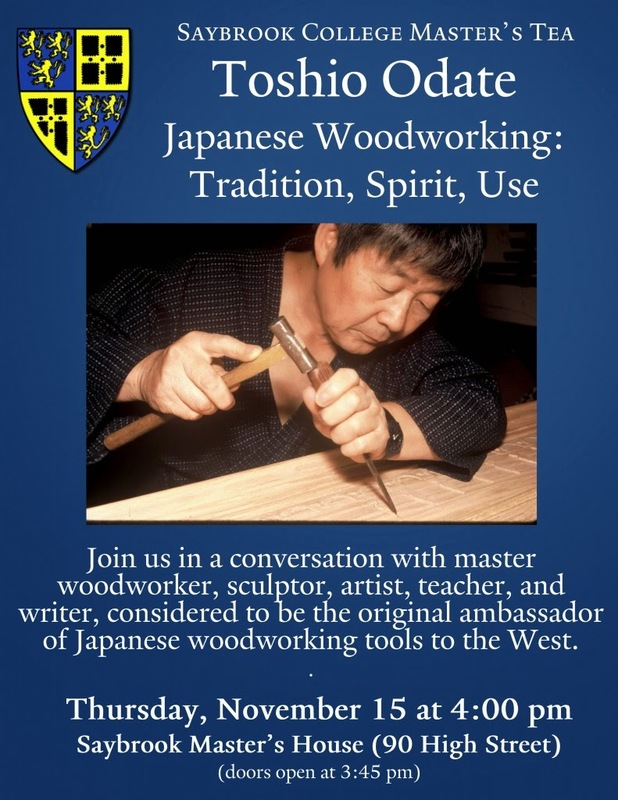 For over four decades, he taught industrial design and sculpture at the university level, exhibited his own sculptures, and demonstrated Japanese woodworking techniques throughout the U.S. and Europe. It would appear that the Japanese seem to be believe that tools have a spirit of their own. They are created to be used. The master craftsmen who make great tools are highly respected in Japan. Their craft comes down from the lineage of Samurai sword makers who shifted to making tools once the age of the Samurai warriors ended and the demand for their swords declined dramatically. Japanese toolmakers still use many of the principles learnt from sword making including the technique of laminating hard and soft steel to produce a hard but easy to sharpen blade. Many years later when Odate had become a famous shokunin in America he learnt about the famous blacksmith called Chiyozuru-Sadahide of Miki City, Japan, and wished to buy his blades for hand planes. When initially approached, Chiyozuru-Sadahide refused to make the blades for someone whom he thought was a rich collector in America. Only when he was told of Odate and his reputation as a shokunin, did the old master blacksmith agree to make the blades. Odate learnt that Chiyozuru-Sadahide was very old and these were probably the last blades he would make. Eventually, Odate received three beautifully crafted blades from Japan. Reading about Odate’s experience made me realise how cavalier we are with most of our possessions, not just tools. We cram our lives with loads of useless or little used objects and spend more time dusting and cleaning them than using them. There is something to be learnt from the simplicity of Japanese attitudes and approach to the craft of the shokunin. This was a nice read. Thanks for digging this information out and sharing it with us. There's something always to learn from the Japanese. It was interesting read with a different opinion. With a world population of more than 7 billion, we can't get everyone to agree on same idea. Personally, I'm radical to this thinking. So, its only after you start using a tool you master it. It is the craftsmen who are to be respected, not the tool. A wise man once said, given six hours to chop a tree he would rather sharpen the blade for first five hours, meaning he fixes the tools to his needs and then use it. We can live in disagreement, for me, I'll then stay away from these tool makers can't see a master in a learner. Interesting read. I am aware of many craftsmen who can make wonderful things with a very simple set of tools. They dont need any fancy tools. They use their ingenuity to overcome the problems with simple set of tools.